It started with a prayer, Larry Jay Tish, a veteran performer, recalled of “The Black-Jew Dialogues” comedy show that he performs in with his Emmy-award winning friend, Ron Jones. The show is centered around the experiences of both Tish and Jones, and it deals with issues like racism, discrimination and diversity. It also, allows students the opportunity to view these issues in a different light. “It brings a new look to an old question,” Matt Altman, a sophomore Georgia State student, said. Although the show is very powerful and eye-opening now, it surprisingly did not start off like that. In fact, Tish and Jones didn’t really have a clear purpose for it at all in the beginning. In their research, Jones and Tish stumbled across the book “Jews and Blacks: A Dialogue on Race, Religion and Culture in America” by Michael Lerner and Cornel West. “That book started to act as a framing device for the whole show,” Jones said. It may seem a little strange that such serious topics are being discussed in a comedy show. However, it actually makes discussion of the topics a lot easier. Racial issues, in general, are very controversial, but when they are placed in a more humor driven context, it makes them seem lighter. Tish was referring to the fact that people often get a little uncomfortable when they are forced to confront societal problems. However, through the comedy show, people are able to open up and it becomes more of a dialogue. Also, the show does not only focus on one set of people. Jones and Tish make fun of stereotypes in every race. For Tish and Jones, the show is very important because it raises awareness and it helps people to see that society has not really advanced as much people think it has. For example, Jones explained how in schools there is still a level of segregation because students often only hang out with people in their own races. For this reason, Tish and Jones hope to make an impact on the way that students perceive racial issues by the end of their comedy show, and they hope that students will be more conscious about them. 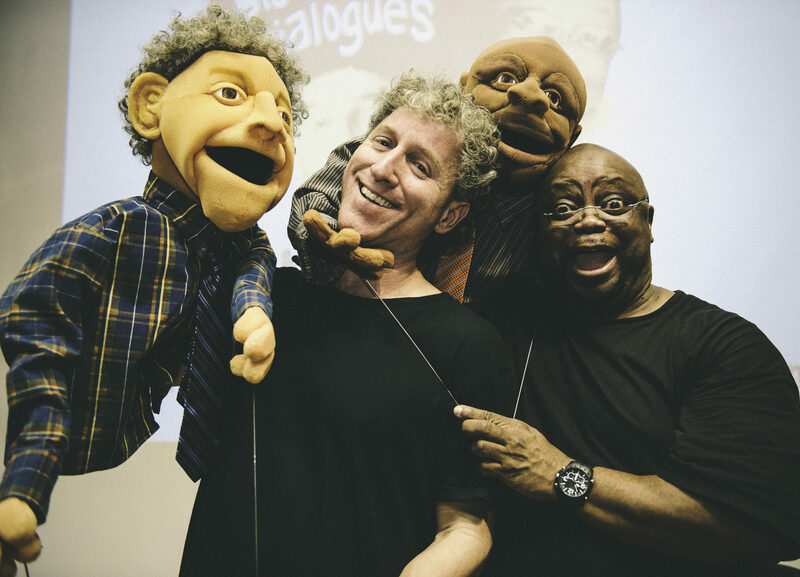 If students are interested in seeing The Black-Jew Dialogues comedy show, Tish and Jones will be at Georgia State to perform on April 17, in the room 465 of the University Center from 7-9 p.m.